In a perfect world, you could own a gas and a charcoal grill. When you had plenty of time to spare you would fire up some charcoal and sear steaks over the blazing heat. Or if you in a hurry you could chuck some burger patties on the gas grill and be eating 5 minutes later. Unfortunately sometimes you have to pick one. Try and stay out of the typical war between gas and charcoal fanatics. The best grill for you is the one you’re going to enjoy cooking on, and using the most. 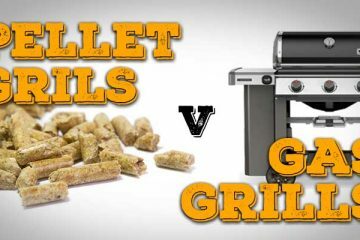 In this post you’re going to learn about the key differences between gas and charcoal, what type of food each grill is best for, as well as the general pros and cons of each. What Food is Charcoal Best For? How do gas grills compare? What Food are Gas Grills Best For? What About Grilling and My Health? As you would expect, the main difference between gas and charcoal grills is the fuel used. But what are the actual differences for you as a home griller? Higher end grills come with enough features you won’t need to step foot in your kitchen again. Charcoal, on the other hand, requires a little bit more technique to light your charcoal and maintain your desired temperature. Now you know what the gist of the argument is about, read on to learn what’s fact and what’s fiction in the charcoal vs gas debate. Charcoal grills are mostly simple and affordable. You can find the classic Weber Kettle grill sitting in backyards around the world. You’ve also got your ceramic Kamado style grills and in more rare cases large built in or free standing grills. In all cases the heat from lit coals cooks your food. Vents control the airflow to the coals which in turn controls the temperature. Some charcoal grills have an adjustable charcoal tray which allows you to move the charcoal closer or further away from the cooking grills to allow for more intense searing if needed. Lighting the charcoal can bit a sticking point for some people. The good news is you don’t have to resort to dousing it in lighter fluid. The easiest way to light your charcoal is using a chimney starter which you can pick up cheaply. It is pretty well undisputed that charcoal grills produce the best tasting food. Charcoal grills are the natural choice if you want to sear your food (and if you cook a lot of steaks . The coals naturally reach higher temperatures than gas alone (without infrared searing zones which come at an additional cost). 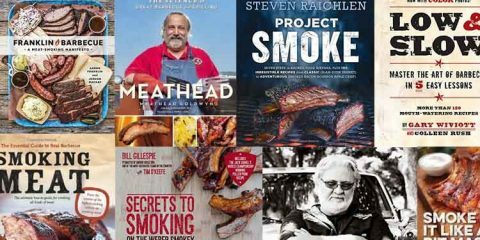 Many charcoal grills can be used as smokers with the right know-how. In most cases you will spend less on a charcoal grill than you would spend on a gas grill of comparable quality. This is largely due to their simple design with less complicated parts. When it comes to running costs, charcoal is going to cost you more than gas. The exact difference will vary depending on where you live. You will have to weigh up how often you plan to grill to decide which option is the most cost effective in the long run. While we love cooking with charcoal, it’s definitely not for everyone. If you are really hungry, you will have to wait longer for your meal to be ready when cooking with charcoal. You need to light the coals, wait for them to ash over and get the grill up to temperature before you are ready to go. Cleanup and maintenance is more complicated when using charcoal. By nature, charcoal is messier, and you have to wait for the coals to cool down before you can start cleanup. There is some more practice and know-how required to regulate the temperature of a charcoal grill. Some might see this as part of the fun, rather’ than a ‘con’. We will leave that up to you to decide. Some apartments complexes will not allow residents to use charcoal grills . Charcoal shines if you do a lot of searing, and prefer that deep, smoky flavor. You’ve probably heard that charcoal ‘just tastes better’. But how much truth is behind that? But when it came to thicker cuts of meat such as steaks which required longer cooking times, the difference in taste became apparent. 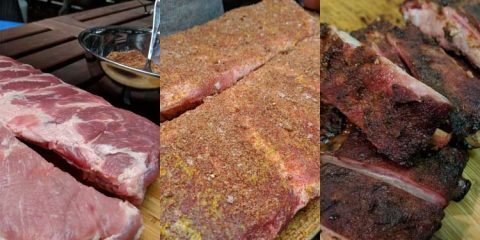 If you are prepared to invest a little more time into your cooking, do a lot of searing or even think you might want to try using your grill as a smoker, then charcoal is right for you. Before we crown charcoal grills champion, it’s only fair we take a more detailed look at gas grills. 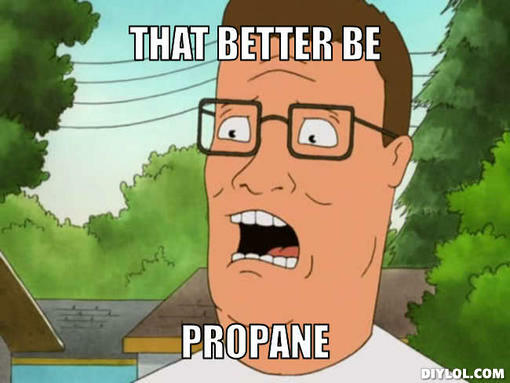 Maybe Hank Hill was on to something. The most obvious difference between gas and charcoal is the fuel. Gas grills will use either propane (lpg) or natural gas. Propane is most common, and that’s why you’ll hear the term “gas” and “propane” grill used. They both mean the same thing. To use natural gas you need to have a gas line to your house, and then your grill will need to be connected. In areas where this is not available, you will need to use lpg which is available in refillable bottles. These bottles usually sit behind or underneath the grill. Gas travels from the bottle through the regulator to the cooker via a hose. It then flows through the manifold which travels along the cooking area. From the manifold, the gas moves through valves. You can control the amount of gas that is burned by turning the knobs on your grill. These controls regulate the amount of gas allowed through the valves which in turns controls the temperature. Gas is fast. The grill will be hot and ready to go within 10 or 15 minutes. For those who are time poor, or need to cook for a crowd, gas is certainly much easier to work with than charcoal. Gas grills cool down quickly and are easy to clean. Controlling the temperature on a gas grill as simple as adjusting the dials. There is a little bit to learn if you plan to use the 2 zone cooking method, but once you have experimented, gas will hold a steady heat and there are no quirks to learn as with charcoal. There are a plethora of accessories available for gas grills, meaning you can do just about anything with a quality gas grill. You will pay for these features, however. You can fork out some serious cash on a gas grill to include features like infrared burner to make it better at searing. Gas can explode if it is not handled properly. While these days most gas bottles and grills have mechanisms to reduce the risk of this happening, there are still instances where gas has the potential to go up in a big bang. If you buy a basic gas grill without all bells and whistles, they will perform best grilling thinner cuts of meat such as burger patties, wings and sausages. When cooking thin cuts of meat, the lack of smoke flavor isn’t noticeable at all. If you are able to fork out for a more expensive gas grill, the sky’s the limit. 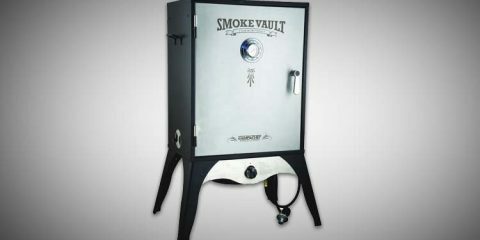 With the addition of smoke boxes, rotisserie kits and searing zones, you can cook just about anything beautifully. Now you know why both grills have their rabid fans. 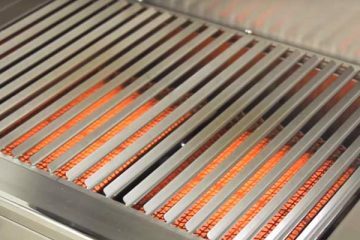 Read on to discover how these grills compare across 4 key categories. Gas – Starting the grill is fast, temperature control is simple and cleanup is as hassle free. Charcoal – More labor intensive when it comes to cleaning and maintaining the grill, and reaching and maintaining temperature is going to take some practice and a little bit of know how. Gas – Controlling the temperature of a gas grill is as easy as adjusting some dials. There is a little more involved if you plan on using the 2 zone method (which you should) but all that requires is a couple of dry runs with a good thermometer to experiment with your settings. Gas – Does fall down when it comes to temperature range. While higher end grills are capable of reaching temperatures high enough and low enough to smoke, cheaper gas grills will not give you this flexibility. Charcoal – Charcoal will reach temperatures required for searing, and can be kept low enough to smoke. You should be able to do this with just about any charcoal grill you buy, but you will need to learn a little bit about how to maintain the temperature. Gas – If you are a fan of ‘features’, then you will find plenty on high end gas grills. Searing zones, rotisserie kits, side burners, infrared burners, remote temperature monitoring systems, gas level indicators, back lights, smoke boxes, the list goes on and on. Charcoal: The reason many are so devoted to charcoal grills is because they are ‘old school’. As such, even on high end charcoal grills, the fancy features are going to be limited. As you go up in price,the build quality will increase, and you may expect some features such as an adjustable charcoal tray and easy cleanup, but you will not find anywhere near as many fancy features as you will on gas grills. Gas: Gas needs to be extracted from the ground, and the methods employed to do so do impact the environment. As with any fuel that is burnt, smoke and gases are released into the air when you cook using gas, however, overall gas is an efficient fuel. Charcoal: There are two lines of reasoning when it comes to how charcoal is sourced. While some assert that the coals can be made from sawmill leftovers that were going to be scrapped anyway, if you use higher quality lump charcoal, the amount of wood felled to create that coal might be concerning to you. Otherwise, there are some air pollution concerns to consider when burning charcoal. A study conducted in 2012 found that the use of charcoal grills can increase air pollution up to 2.6 times normal levels. Some barbecue fans aren’t so worried about their health, figuring they are here for a good time not a long time. But for those who are concerned about being around for a long time as well, there are some factors to consider. Char is a known carcinogen, and cooking with a charcoal means a lot more char ends up down your gullet. It’s not just the black crunchy bits on the surface of your food that you need to worry about. Meat cooked at high temperatures produces some of the compounds in question. As we have established, charcoal grills are better at reaching those high temperatures, and controlling the temperature can be more of a struggle. While controlling the temperature of a gas grill is easier, if you get a good enough gas grill you will still be capable of grilling at temperatures that give a good sear (and potentially a higher cancer risk), so grilling with gas is not completely off the hook. There needs to be more research done on just how many of these compounds need to be ingested before our health is significantly compromised, so it might not be time to panic just yet. In the meantime, if you can’t give up grilling over coal but are concerned, perhaps put a limit on how many times you eat meals cooked over coals per week, or consider grilling with a combination of gas and charcoal. It may just be a good excuse to buy both a gas and a charcoal grill. As we have not so subtly hinted at throughout this article, there is no clear winner in this head to head battle. It really comes down to your priorities. If you are looking for smoky flavor and are prepared to put in some more time and effort to achieve it, then a charcoal grill might be the way to go. If you are prepared to forego some smokiness for ease of use and speed, then gas might be the best choice for you. Your next step is to checkout our charcoal and gas grill buying guides to learn which grills are best for your budget. 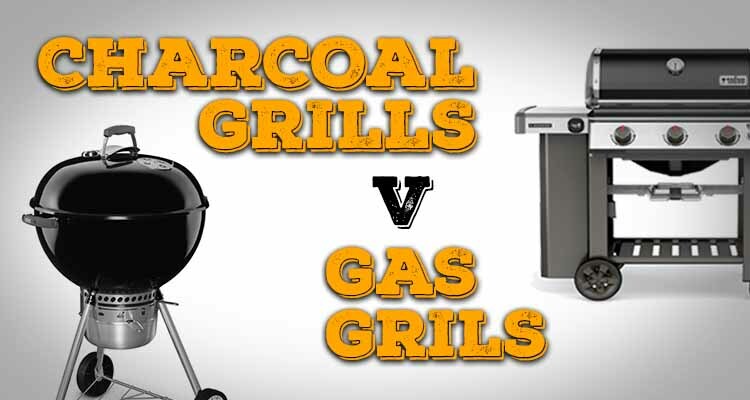 We hope you enjoyed this charcoal v gas head to head. Let us know what you think of this burning issue in the comments section below. And if you think the article was helpful, don’t forget to share!